Consisted of front and rear color video cameras (with high intensity illumination), auto jib-arm for dust collecting and sampling, movement on tracked or four-wheel drive mechanism. The service provider will be able to judge the interior condition of the air duct and to devise a customized cleansing proposal for the Owner’s approval. When fitted with the special shoveling device, this robot can move heavy items such as bricks, rocks or abandoned tools to the exit of access panels for discard. Types and Materials of Air Ducts to be cleaned: Rectangular or square air ducts made of metal or composite material. Sampling Method: Mechanical jib-arm dust collecting sampling unit. 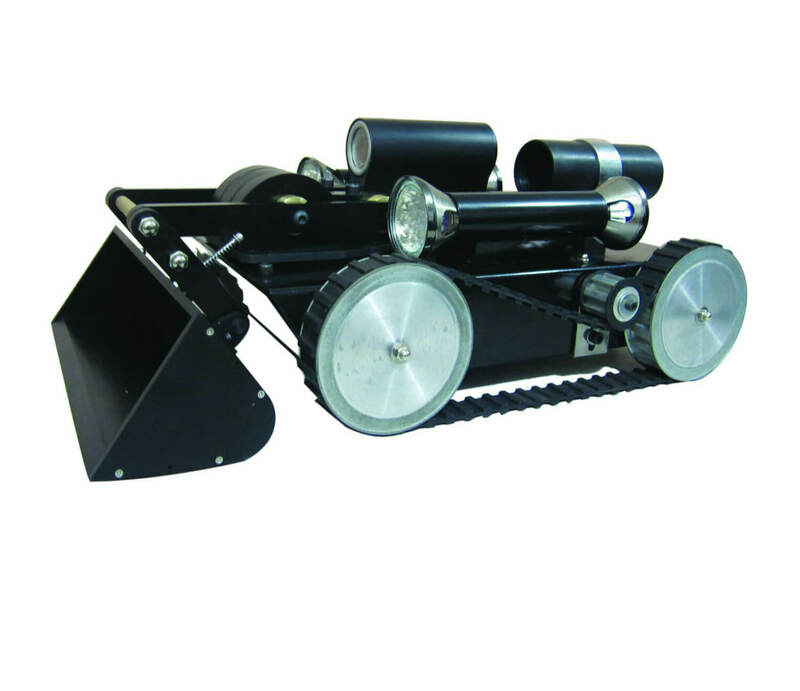 Shoveling Method and Shoveling Power: Mechanical lever, horizontal thrust > 25 kg, vertical lift > 8 kg.